Snort is a well-known open source intrusion detection and prevention. It analyze traffic, creates alerts, and record problematic packets. Rules can be customized based on a specific needs. You can download Snort, below. IPCop Firewall is a Linux firewall. It is used for Small Offices and Home Users. It has a very user friendly web-interface.You can download IPCop, below. 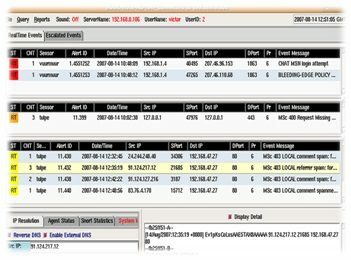 Security Onion is a Network Security Monitoring and Intrusion Detection based on Linux. It contains Snort, Suricata, Sguil, Squert, argus, Xplico, tcpreplay, scapy, hping, and many other security tools.You can download Security Onion, here. Hey Buddy!, I found this information for you: "Intrusion Detection". Here is the website link: https://ipcisco.com/intrusion-detection/. Thank you.